I’ve started working with clients and groups using sound (crystal bowls, voice, and instruments) and their responses have been nothing short of amazing. Others say how deeply relaxed and refreshed they feel, the shifts they experience, insights, releases, visions, and connection with guides and spirits. I’ve had many wonderful experiences with healing sounds. Once, I had a sprained knee which ached quite abit. While leading a chant group, I experimented by resting my tanpura (an Indian drone instrument) against it. After the hour, my pain completely vanished! Since then, I use it on people’s bodies while I’m sound healing. I’m completely fascinated and passionate about the power and possibility sound healing has for humanity and our planet. Heals (and speaks) to your body on cellular levels. Stimulates and strengthens all your systems and organs — endocrine, circulation, digestion, heart, brain, immune, and hormonal. Leads you into very deep states of relaxation to de-stress and get out of your non-stop mind. Balances and connects your left and right brain hemispheres. Cleanses your body and energy field of negative energy, toxins, andstuck emotions, and helps you release whatever you’re ready to release. Sings your body back to its original song and harmonics. Connects you with your spirituality. You might even connect with your guides and beings of Light and Love. Opens you to fresh, expanded perspectives and insights. Activates your third eye (pituitary gland), pineal gland, and intuition. Helps you feel refreshed, whole, restored. Sound medicine is a healing modality that uses the law of vibration to heal your body, mind, heart, and soul. Sound medicine is based on the principle that you are energy. Your bones, your muscles, your organs, your thoughts, and your feelings. Your body isn’t solid matter. It’s made of energy. Your body seems and feels solid, but it isn’t. If you were to peer at your cells through an electron microscope, you would see a combination of waves and particles. And these waves and particles in your cells understand sound. Yes, that’s right, they understand the language of sound just as you understand these words. Your cells absorb, translate, and use the sounds in the way they need to. The magical thing about sound is that you don’t have to know how it works. It just does. 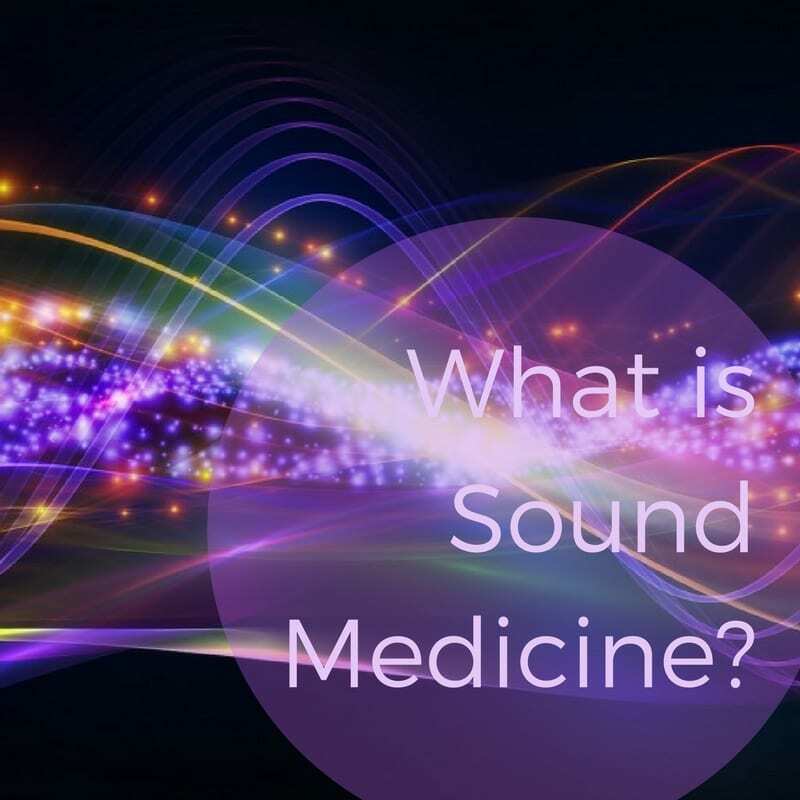 With sound medicine you can treat your body and mind on their most fundamental level — as energy. Sound medicine uses healing sounds to resonate, realign, harmonize, activate, and balance you on every level. Some healing sounds are sounds of nature, your voice, crystal singing bowls, tuning forks, instruments, bells, gongs, and drums. If you haven’t tried a sound healing, be prepared for a magical experience!